The VW Caddy for sale at Clark Commercials will be your new favourite workplace, on the go. Expertly crafted to remain pleasingly car-like, while boasting flexible and space-saving light van features, the VW Caddy van is ready to work, whatever job lies ahead. 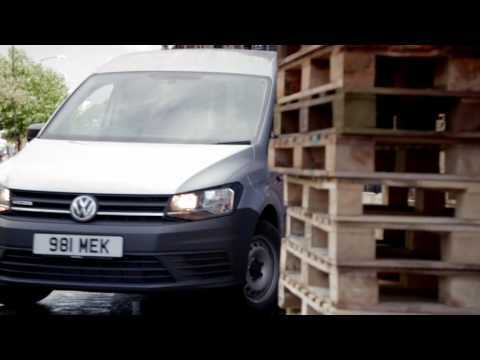 Available in 8 different variations, with short or long wheelbase options and both cargo and passenger carrier designs, you can choose the Volkswagen Caddy that suits your business' exact requirements. Pack everything you need inside, with the Caddy Panel Van, boasting an impressively space-saving cargo area with up to 4.2m³ of capacity. Looking to take the whole crew with you? 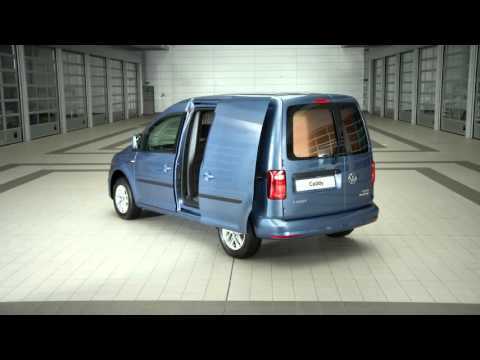 The Volkswagen Caddy Maxi kombi has three seats in the back, with a load volume of 1.65m³ for all your kit. Whatever style is for you, you'll be impressed by the convenience of the side sliding door and the practical space-saving features, not to mention the state-of-the-art infotainment and driver assistance features packed inside. Functional, comfortable and versatile. The new Volkswagen Caddy is undeniably appealing, both visually and in its flexible, dynamic design. It's bold, sharp exterior outline conveys a sense of quality and professionalism, projecting the perfect image for your business. The car-like shape of the VW Caddy, makes it nimble and easy to maneuver on busy city streets, while the generous side sliding door and low loading bed makes for effortless carrying of equipment. Complying with the Euro 6 emissions standard, all models include BlueMotion Technology as standard, with Start/Stop, Hill Hold Assist, low rolling resistance tyres and regenerative braking. The new Volkswagen Caddy puts cutting-edge infotainment at your fingertips, with the integrated 5" Composition Colour touch-screen with DAB Radio as standard. A wealth of innovative Driver Assistance systems are also built into the Volkswagen Caddy, ensuring that you and your crew are as protected as possible when on the road. The Caddy starts from £15,285. Arrange a test drive today.